KAMPALA – High court judge Andrew Bashaijja on Wednesday evening ordered Qualicel, Nabukeera and Jamboree traders who went to court seeking orders to deposit their rent in court until issues of who should manage the three buildings is settled to pay costs. The group dragged their landlords Mr. Drake Lubega and Mr. Mansur Matovu. This is after justice Bashaijja has dismissed an application by the trader’s lawyer Elias Lukwago in which he wanted to appeal a ruling that denied him a chance to amend his pleadings before the High court. Mr. Lukwago had asked permission from justice Bashaijja to add an application that is before the Land division to be part of that in the civil division of the High court. However, Justice Bashaijja declined and instead ordered that the application be heard as it is. “It is rare that leave is granted in matter intellectual in nature. Court has the discretion to rule on this matter, it is at liberty on how such discretion should be exercised,” the judge ruled. After dismissing the application for appeal, Justice Bashaijja adjourned the hearing of the application to Friday morning. According to the court documents filed on Tuesday, April 2, 2019, 292 traders led by their chairperson Denis Muganga, also asked court to summon the three fighting parties who also include Horizon Coaches Ltd belonging to the departed car rally driver Charles Muhangi to appear and explain to court who is the rightful owner and manager of the suit premises. The traders accuse Mr. Lubega and Mr. Matovu of closing their shops while demanding payment of double rent fees that they have been paying to Horizon Coaches Ltd for the last five months. 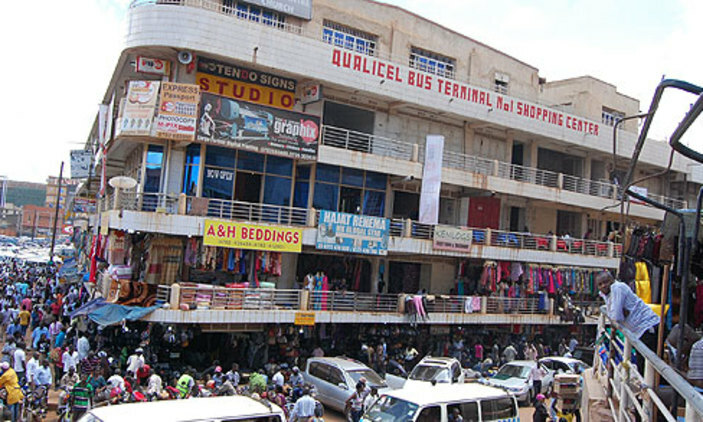 They contend that following November 5, 2018, Supreme Court order that placed the management of the three buildings under the Horizon Coaches Ltd, the buildings were renovated and renamed Horizon city and Bazanyanengo from Qualicell bus Terminal and Nabukeera plaza respectively and each tenant was tasked to pay UGX1.2 million as tenancy registration fee which they did.